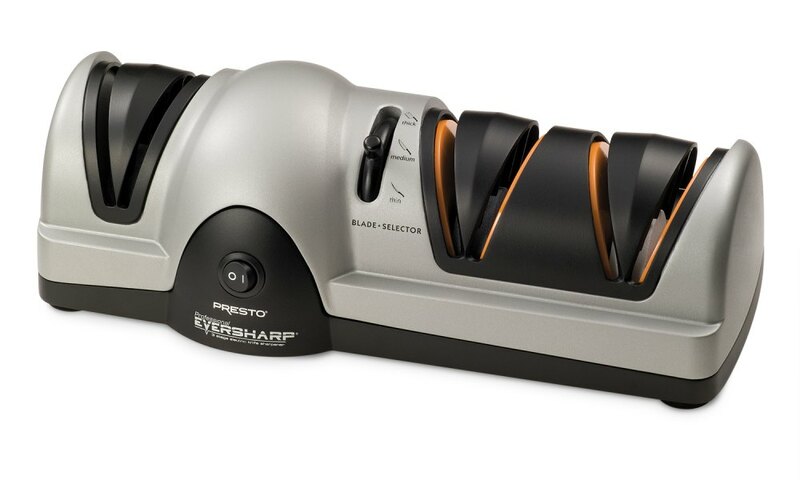 Get professional results at home with this three-stage sharpening system. The fast and easy way to sharpen kitchen and sporting knives. Also sharpens Santoku knives. The adjustable blade selector provides the optimum sharpening angles. Select thick for hunting knives, medium for chef's knives and standard kitchen knives, and thin for light blades like fillet and paring knives. Simply draw the knife through each slot a few times to achieve a razor sharp edge.